Are you a parent? Do you wish you could find a car that allows you to keep your family safe on the road while offering you the fun you want from behind the wheel? If so, you’ve got to take a look at the Dodge Charger lineup we offer at Palestine Chrysler Dodge Jeep Ram Fiat. You’ll find a Charger that has everything you want when it’s time to drive around Tyler, TX. Whether you need to take the kids to school or you’re looking to scream down an open road, the Dodge Charger offers you everything you need in one amazing package. This car shows you the build and the style you want so that you can get out on the road and experience a fantastic vehicle. There’s plenty of room for your kids, a substantial build that’s tough and ready to go, and a large trunk where you can house the luggage and gear you need with you. Check out everything the Charger has to offer and let this car become the one you’ll be ready to have when you take it out on the road. When you see the Charger models we have to offer, you’re going to ask yourself this question. Whether you want to drive this car on long road trips or make it the right one for you to experience during your daily drive, it can fill all your needs. There are tons of power options for you to choose from in order to have the right version of this car for you to drive. It’s easy to picture the ride on the road when you’re ready to head out for the weekend or go on vacation with your family. The Dodge Charger you choose for your daily ride in Tyler, TX allows you to have the Uconnect infotainment system that’s great for your connectivity needs. This impressive system brings you the ability to experience what you want when you head out on the road. 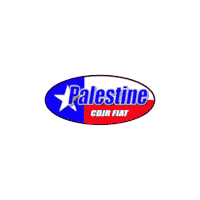 Our sales staff at Palestine Chrysler Dodge Jeep Ram Fiat will make sure you can have the right version of the Charger for the drive and make it easy for you to have the technology you’ve been after when you choose the right model today.